Authorities in Vermont are investigating a pair of weekend fires that damaged the Stowe Free Library and destroyed a nearby building housing five businesses. 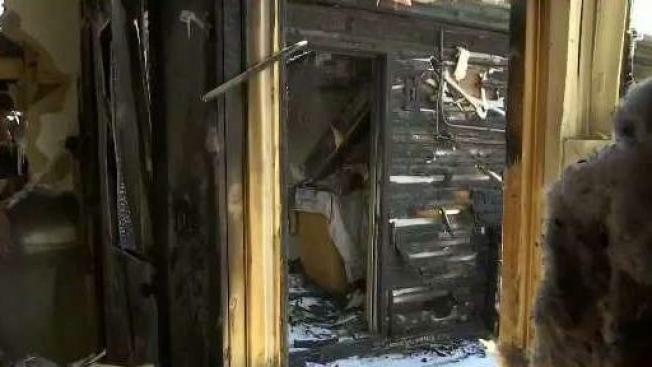 Vermont State Police are treating a pair of fires that broke out within minutes of each other over the weekend as suspicious. The fires, which damaged the Stowe Free Library and destroyed a building on Main Street in Stowe housing five businesses, happened late Saturday night—less than a mile from one another. Detectives are now asking witnesses or anyone who was in the area after 11 p.m. Saturday to come forward with photos or video of the fires or to share details about what they remember seeing. Even seemingly small points could be helpful to an investigation, a Vermont State Police spokesman said. “We were very, very lucky,” Cindy Weber, the director of the Stowe Free Library, said of the minor smoke and flame damage to the building—after a Stowe fire captain was able to put out the blaze with a fire extinguisher. Police say both fires started on outside walls, which they consider a suspicious circumstance. The complicated work to pinpoint precise causes is still underway. Weber said the call about the fire felt like being kicked while she was down because the library has been operating out of a temporary space since a December sprinkler burst ruined thousands of books and forced a big repair project. “We’ve been through the wringer,” Weber told necn, adding that the new damage to a window, frame, and sill likely means a slight delay in returning to the permanent library facility later this month. “I just feel for them, that here they go through another trial and tribulation,” said Stowe Free Library patron Bob Fahey. Back at the flower shop, Beede said she is now scrambling to find a new workspace in time to save her busy season of Easter, Mother’s Day, and prom orders, before the summer wedding rush. Investigators are asking anyone who may have information about the fire at the businesses or the one at the library to call Det. Sgt. Todd Ambroz of the Vermont State Police at 802-878-7111, Sgt. Fred Whitcomb of the Stowe Police Department at 802-253-7126, or the state’s arson tip hotline, at 1-800-32-ARSON.